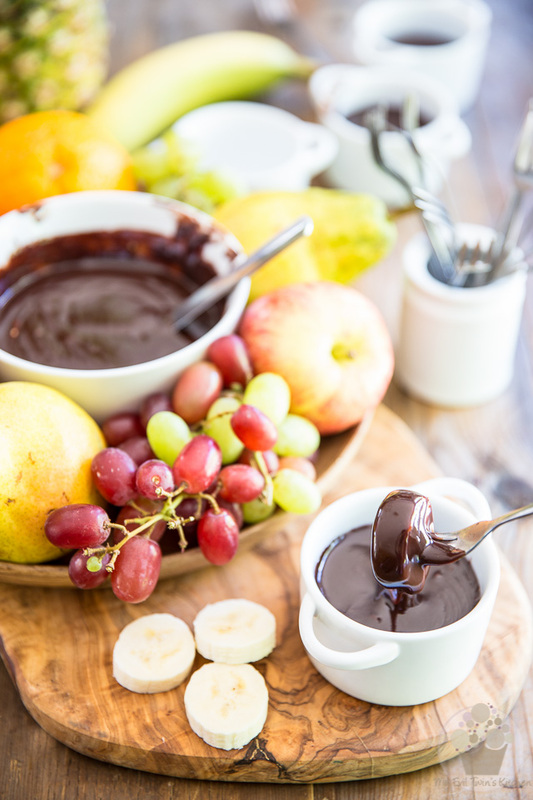 If you think that you absolutely need a good excuse and a fancy fondue set to enjoy a truly heavenly chocolate fondue, think again! 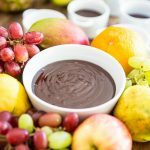 This particular chocolate fondue recipe only requires minutes to make, will remain deliciously smooth and creamy for longer than it will take you and your guests to see the bottom of the pot and, best of all, it’s probably the most delicious Chocolate Fondue you will have ever eaten in your entire life. 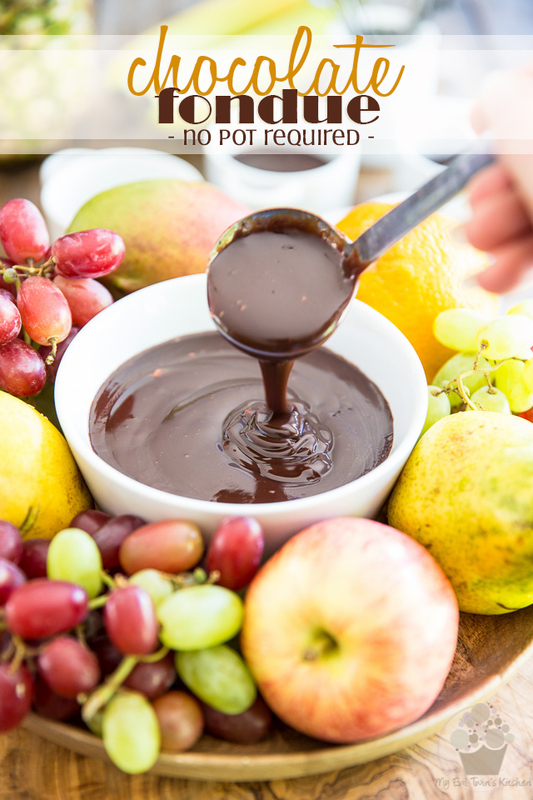 And once you realize just how truly easy it is to make, I can guarantee you that won’t need to find an excuse anymore, and definitely won’t need to wait for Valentine’s day to enjoy the totally decadent and guilty pleasure that is chocolate fondue! You can make it anytime, practically anywhere, in just a few minutes. 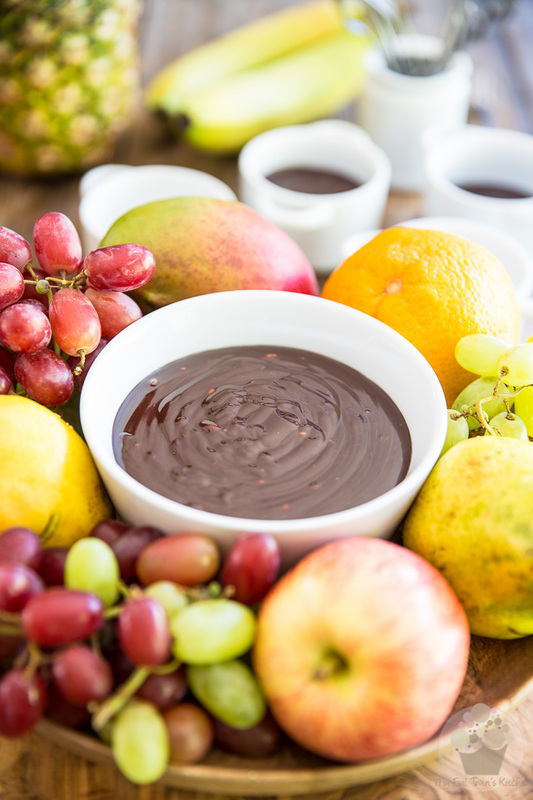 Part of what makes this chocolate fondue so unique is the fact that I use a couple of Toblerone chocolate bars to make it, as opposed to plain milk chocolate. 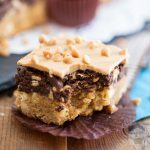 As they melt, the Toblerone bars leave behind all kinds of deliciously crunchy little bits of nougat and toasted almonds. To make the ambrosial concoction even richer and darker, I then add a bar of 70% cocoa dark chocolate. My favorite is Lindt’s Smooth Dark, but you can use any brand you like. And then, to ensure that it keeps a perfectly smooth, thick and dippable consistency for an extended time without having to be kept constantly over a heat source, I add a very generous amount of whipping cream, along with some butter and NUTELLA!!! Got you drooling, haven’t I? And IF you should be lucky enough to have leftovers, just cover the bowl and stick it in the fridge. 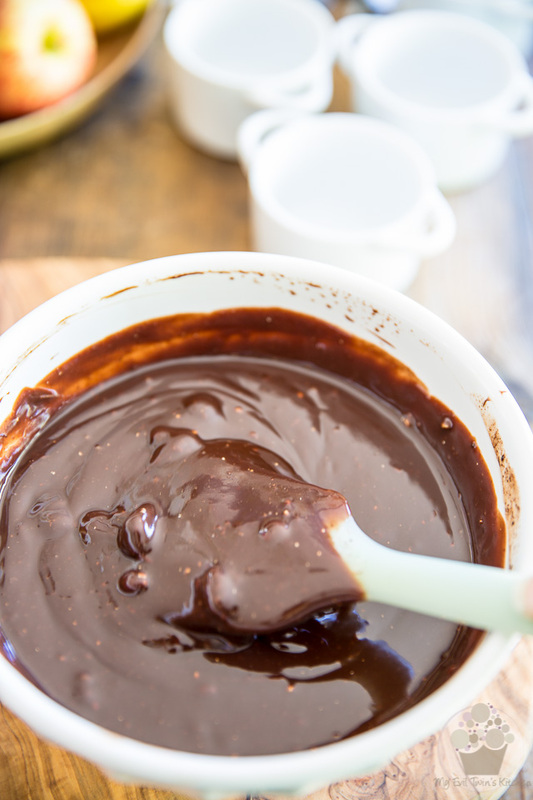 Once cooled, this chocolate fondue turns into the creamiest, fudgiest, most delicious spoonable chocolate fudge ever! It’s okay, though. You can totally blame me for it! 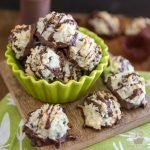 Combine the finely chopped chocolate bars, Nutella, butter and whipping cream in a large microwave-safe bowl. Cook in the microwave on high for 1 minute, allow the mixture to rest for 1 full minute and then stir delicately for 1 full minute. Initially, it’ll look like a complete mess and you’re probably gonna think that this was all a big mistake and that there’s no way in hell that this blob of [insert word of your choice here] will ever turn into something that’s even remotely close to being edible. But trust the process and stir. Delicately. Eventually, the mixture WILL come together, I promise. There will be lumps of unmelted chocolate remaining, though. 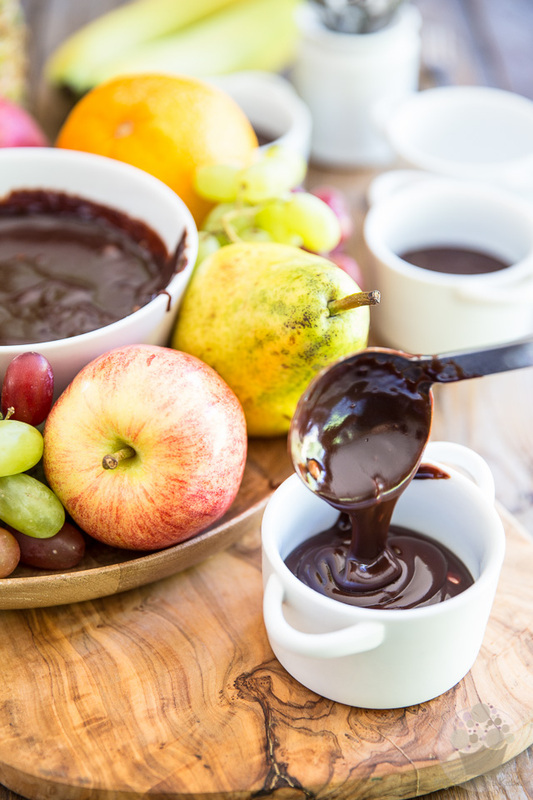 And your chocolate won’t be warm enough to qualify as proper fondue. So back to the microwave it goes. Repeat the process one more time, cooking, resting and stirring for one full minute. 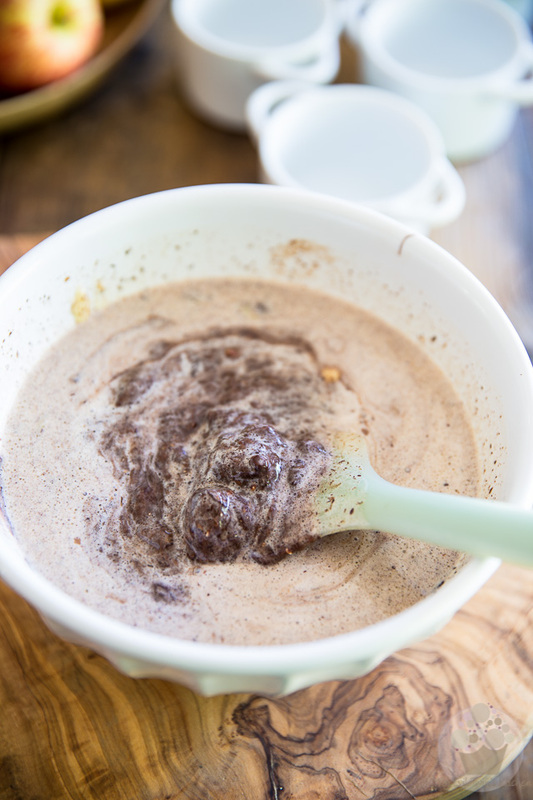 At this point, the chocolate fondue should be completely smooth and combined (save for the bits of nougat and chopped nuts) but if there were still lumps of unmelted chocolate remaining, repeat the process again but for no longer than 20 seconds this time; continue doing that until the fondue is perfectly smooth and silky. 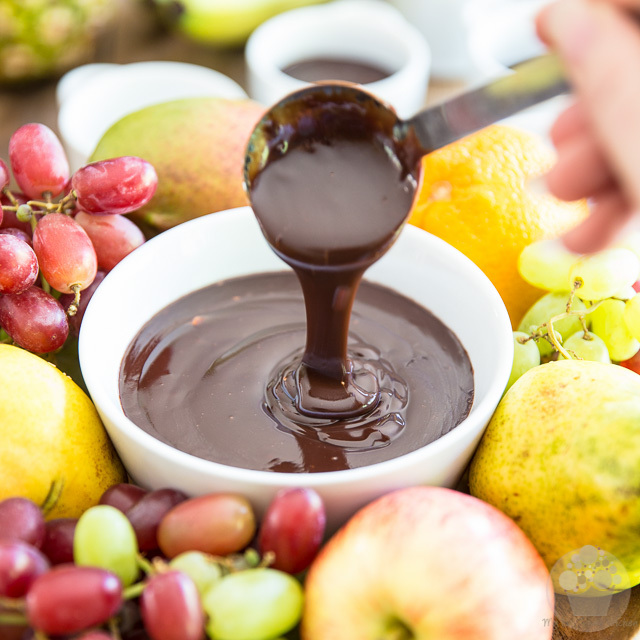 Transfer your fondue to a clean bowl, if desired and serve it immediately while it’s still deliciously warm with your favorite fruits or even cubed pound cake. 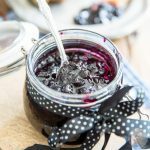 If you’re gonna go with fruits, you might want to cut them into bite-size chunks though, before you serve them to your guests. 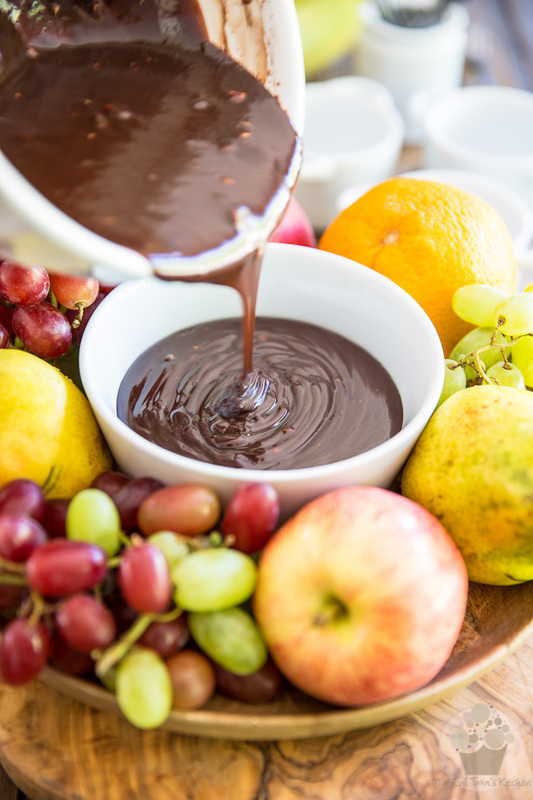 The beauty of this particular chocolate fondue is that people aren’t tied to that pot in the center of the table. 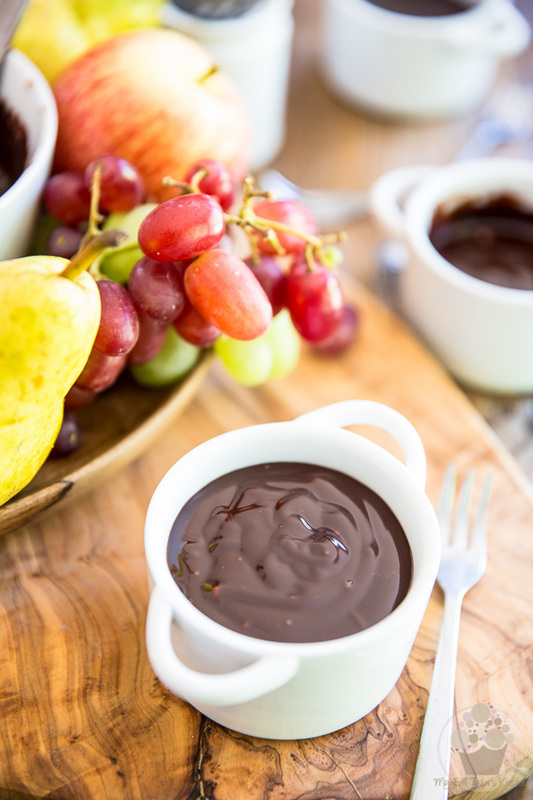 Have little individual ramequins available and your guests can each have their very own personal fondue pot. HA! Makes it a lot easier to fish your tasty morsels, should they happen to fall off your fork! 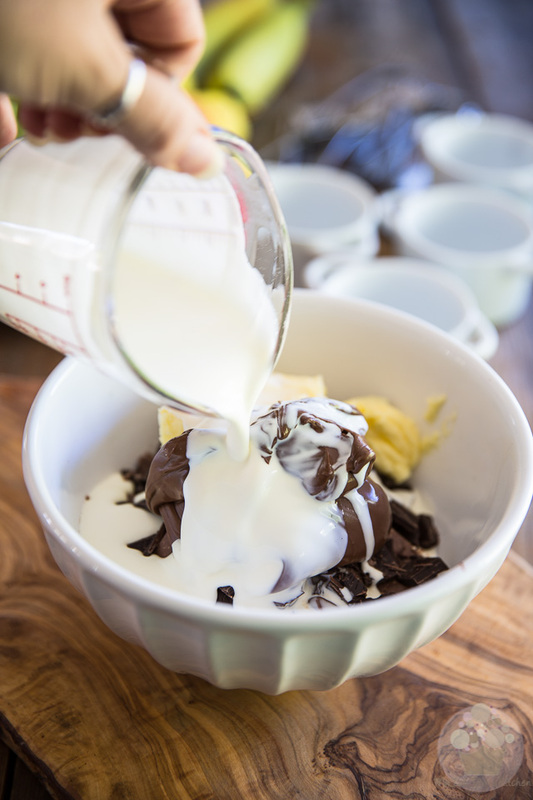 Combine the finely chopped chocolate bars, Nutella, butter and whipping cream in a large microwave-safe bowl. Cook in the microwave on high for 1 minute, allow the mixture to rest for 1 full minute and then stir delicately for 1 full minute, or until the mixture comes together. Repeat the process one more time, cooking, resting and stirring for one full minute. 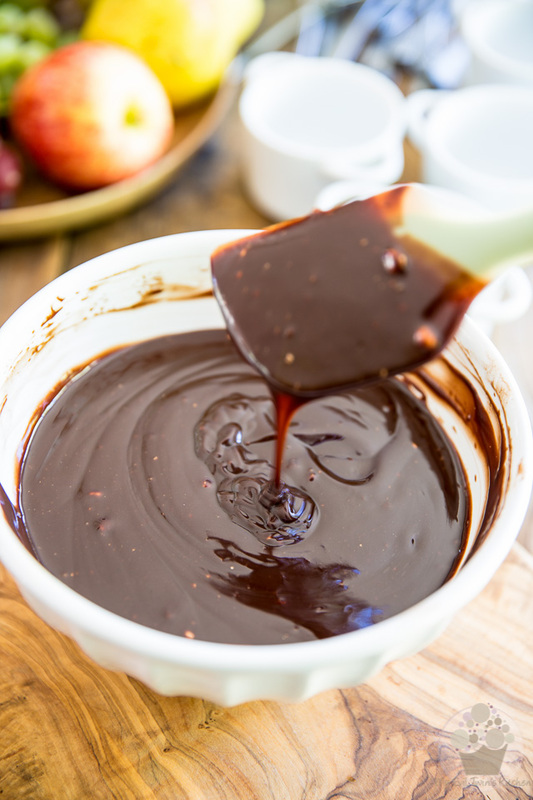 At this point, the chocolate fondue should be completely smooth and combined (save for the bits of nougat and chopped nuts) but if there were still lumps of unmelted chocolate remaining, repeat the process again but for no longer than 20 seconds this time; continue doing that until the fondue is perfectly smooth and silky. 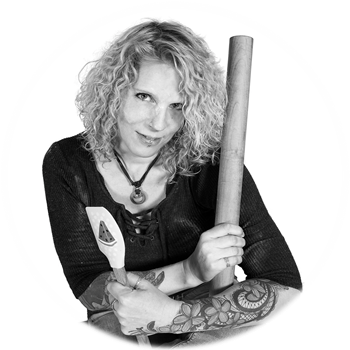 Transfer to a clean bowl, if desired and serve immediately with your favorite fruits or cubed pound cake. This looks amazing!!! I’m also thinking some reese’s peanut butter spread instead of Nutella would be out of this world!! !